Heart disease is one of the biggest threats to your health – and yet many of us take our hearts for granted. Heart disease still remains the number one killer of both men and women worldwide, and while it is more common as you age, it can actually begin to develop much earlier in life.Not changing the poor diets and sedentary lifestyle habits weaken our hearts ability to stay strong in long-run – which is why it’s important to have regular checkups and know your heart disease risk factors. While this can all sound overwhelming, the good news is there’s a lot we can do to maintain our heart health to prevent or slow heart disease, while also helping you feel better physically and mentally overall. Small changes really canadd up! Here is some background information on heart disease and top frequently asked questions to help you broach the subject with your doctor. So what exactly is heart disease? While we often think that it is just one condition, Heart disease is the common name for what is really a group of conditions that affect the structure and functions of the heart. Learn more about each one in detail right here! What are some of the risk factors of heart disease to ask your doctor about? And a family history of heart disease. As you approach middle age, it’s important that you are aware of your family history. Talk to your doctor about your risk factors while simultaneously taking measures to keep your heart healthy. To help men safeguard their health, we have compiled the top frequently asked questions that men have about heart disease. It is also recommended that you bring these up with your doctor. If heart disease or stroke runs in your family, then your risk may be higher. It is recommended to start with your immediate family to find the full history, and make sure your doctor knows about it. 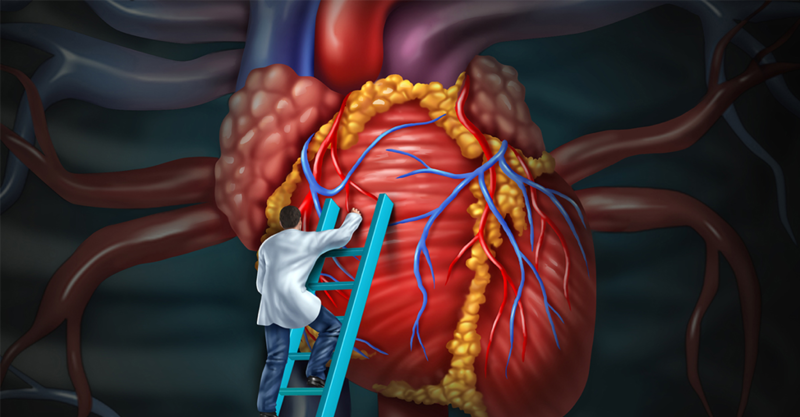 Is heart disease an irreversible condition? According to The University of Iowa, heart disease is potentially reversible by attending to risk factors like cholesterol, blood pressure, and smoking. Several studies have shown that aggressive lowering of blood cholesterol with LDL levels (bad cholesterol) below 100 can open up blocked coronary arteries, at least partially. Does being overweight and/or smoking increase the chances of heart disease? Yes. Smoking is a major risk for several diseases including heart disease, stroke, and several cancers. And being overweight can increase the risk of heart with high blood pressure and diabetes. Stress can increase the risk of heart disease, although it is still unsure of how this happens. Heart disease is preventable. And if you’ve been diagnosed with a heart condition, there are ways you can reduce your risk of developing more heart problems. Remember, you play the most important role in your healthcare and your healthcare team is there to help you learn more about what you can do to take care of your heart! What are the Warning Signs of a Heart Attack? Why isn’t mental health universally recognized as a medical condition? What is the single most important thing you can do to manage your stress? How do you talk to a friend about suicide?